The next meeting of this class has not yet been scheduled. In this class you’ll learn to use brush pens, inking brushes, felt tip pens and nib pens to create striking high-contrast images. You’ll learn how to do feathering, hatching, cross-hatching, and more. Ink drawings can be striking and beautiful. In this class you’ll learn to use brush pens, inking brushes, felt tip pens and nib pens to create striking high-contrast images. You’ll learn how to do feathering, hatching, cross-hatching, and more. You’ll also learn how to use a synthetic watercolor brush that produces clean, beautiful fluid lines just like those of a sable brush (but costs twenty times less). ABOUT THE INSTRUCTOR: Nils Osmar has made his living in the arts since the 1980s, and has taught both accredited and non-accredited classes in Seattle for over twenty years, through the University of Washington’s Experimental College, Antioch University’s Heritage Institute, Shoreline Community College, and Classesandworkshops.com. 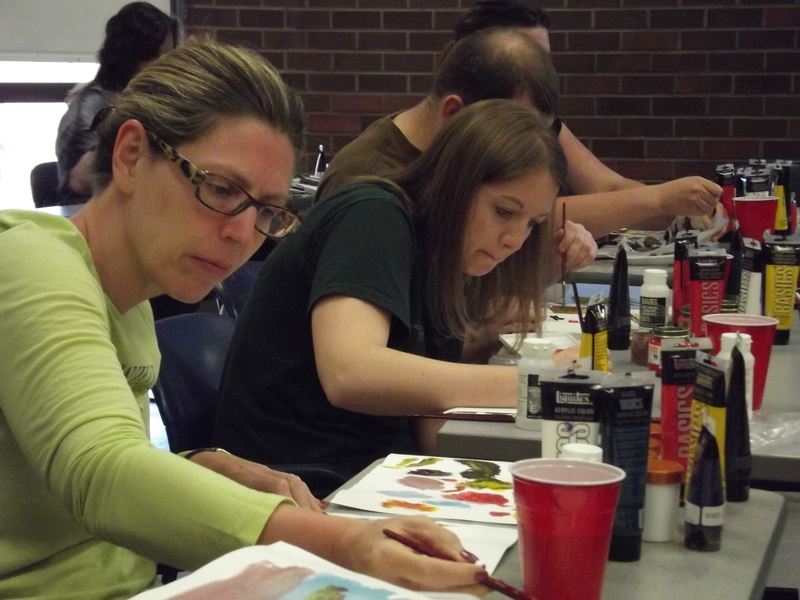 His visual art classes and workshops include art classes, drawing classes, painting classes and more. He has worked as a fine and commercial artist, and done book and magazine illustration, design, book covers and interiors. His artwork has been internationally published. 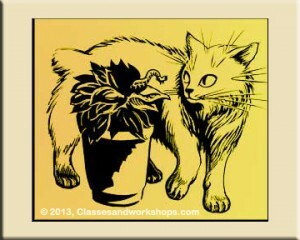 For a more Seattle drawing classes, see the Art Classes in Seattle page. ABOUT THE MATERIALS: A materials kit will be available to purchase in class. The cost is $35. It’s also fine to bring your own pens, brushes, brushpens and paper.